We already know that Twitter is preparing tons of different new ads that it plans to implement into its service. The social network needs to generate new revenue, and now that it's a publicly traded company investors will be looking to how it plans to do just that. One key area will be non-intrusive advertisements, and in an effort to bolster its war chest the company recently acquired a small ad firm named Namo Media. Namo Media focuses on mobile revenue generation — a key growth area for Twitter — and says that its service helps "turn [a] content stream into a revenue stream." Sounds perfect for Twitter, doesn't it? 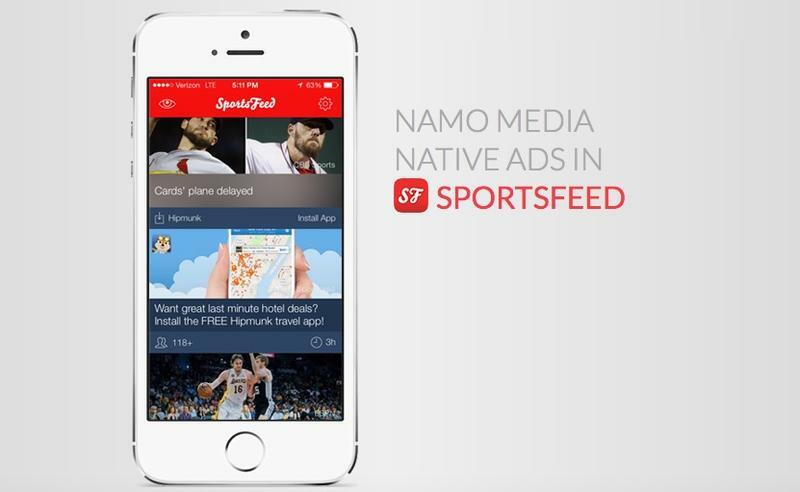 The firm uses native ads — ads that look somewhat native to the site they exist on, instead of intrusive and flashy sidebars — and already provides advertisements in apps such as Sportsfeed. In one picture we've included above, you'll see an ad for Hipmunk among sports stories; this sort of "Mobile App Install" advertising is exactly what Facebook does, and is a method that Twitter recently started copying in April. "We're thrilled to add Namo Media's expertise and technology to the ecosystem MoPub and Twitter have already developed to continue building the best native ads platform for app developers and publishers," Twitter vice president of product Kevin Weil said. Twitter paid less than $100 million for Namo Media, according to The Wall Street Journal, which means it's a fraction of the price it paid for MoPub. Neither company confirmed actual terms of the deal, however.